A roundup of our news, research and work provided by the Rural Services Network, highlighting issues for the heart of the village and its services in the last 12 months. A new agreement means more rural residents will be able to bank at their local post office. The deal bring together the Post Office’s existing arrangements with individual banks into a single set of cash and cheque services. The latest agreement covers customers of virtually all UK banks. Two thirds of rural people support building the new of homes in their local area, says a survey. Some 65% of those who said they live in 'a country village or a farm or home in the countryside' supported new affordable homes being built. In all nine regions of England, support was between 67% and 79%, according to the latest British Social Attitudes survey, carried out by NatCen. 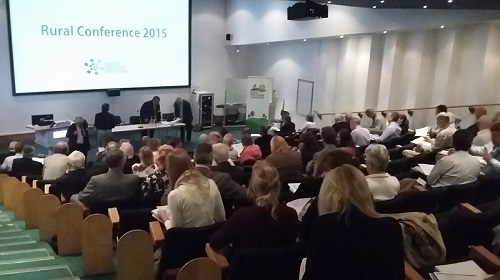 AN urgent adjustment to local government funding is needed to deliver vital rural services, a leading MP has warned. How to fund local public services is one of the big questions at Westminster, said Somerset MP James Heappey. "Rurality has a cost that hitherto has not fully been included in the funding for schools, policing, health and local government," said Mr Heappey. THE government is facing calls to help secure the future of thousands of rural shops. Campaigners say action is needed so 19,128 rural shops can continue to provide essential services. 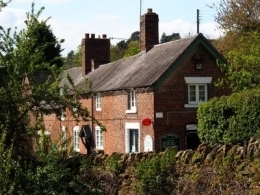 Many village stores double up as the local Post Office for rural customers who would otherwise be isolated. Rural shops are often the only place where customers in their local area can get essential goods and services. Parish councils are urging the government to stand firm against developers who “want to ride roughshod” over the wishes of rural communities. It comes after developers challenged a government move to strengthen neighbourhood plans in areas where the local authority does not have a five year housing land supply. Rural England an independent research organisation has recently published the State of Rural Services 2016. It covers nine service areas, which are: local buses and community transport, welfare services, access to cash, further education, the retail sector, mental health services, older people’s services, public health services and community assets. The Neighbourhood Planning Bill is currently progressing through Parliament. It aims to speed up and streamline the planning process. Full details can be found here. Demands are increasing on health and social care services across the UK, often as budgets are tightening. These circumstances, coupled with the distinctive difficulties rural healthcare providers face, make for a uniquely challenging environment. The pressure on hospitals in particular is unmanageable in the current context of healthcare supply and demand. Now more than ever we need strong leadership and collaboration across the public sector to reduce demand on acute care services and deliver better health outcomes for more citizens. But how should agencies across the public sector be working together to meet the challenges of today and tomorrow? How can citizens be empowered to better protect their own health? Join us for this one-day event to learn from some of the brightest minds in the health sector. You'll have the chance to debate and recommend strategies for improving rural health and reducing pressure on services through preventive measures. The RSN Observatory provides a statistical overview of rural life. It provides analyses and comment on key service provision and issues affecting rural communities. A successful neighbourhood plan must be based on evidence and an understanding of the place they relate to. Communities need to gather a range of evidence and local knowledge before writing their plan. We have collated a selection of evidence, which may be useful to communities in starting to shape their evidence base. Click this section to view your local information if you are a member of the Rural Services Network. We highlight relevant research on rural issues and regularly provide comment on issues pertinent to rural communities. Are rural carers overwhelmed by need? Carers or caregivers not only reduce demand on health and social care systems but they often do so with very little (if any) support. How can we better understand the role that carers and caregivers play – and what more can be done to recognise and support them, especially in rural areas? Jessica Sellick investigates. Alternative technologies and suppliers show real promise as a means to deliver broadband to remote rural communities, finds Brian Wilson. For each local authority that is a member of the Rural Services Network -Sparse grouping, we provide a dedicated page including lots of facts and figures and analysis focusing on that local area. Copyright © 2017 Rural Services Network, All rights reserved.